East London is famous for its street art – it’s on every building, on every wall, on every street corner – and when you’re walking around East London it’s almost as if these murals create a new urban environment, one where the bleak and dreary buildings have been replaced with the colourful and vibrant ones. For me, I’m lucky enough to call London home, and nothing makes me happier than taking my camera out and photographing all aspects of this amazing city. 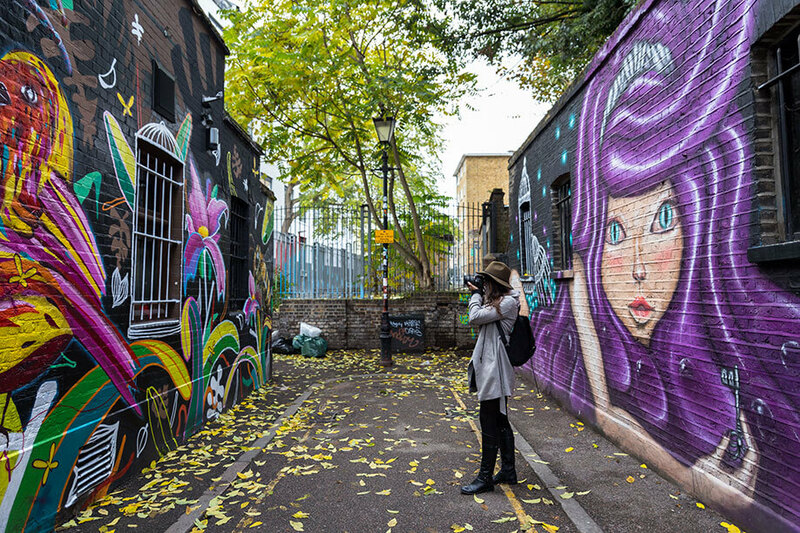 I think one of the reasons street art works so well here is because of the weather – when it’s grey and overcast (as it often is in the UK! 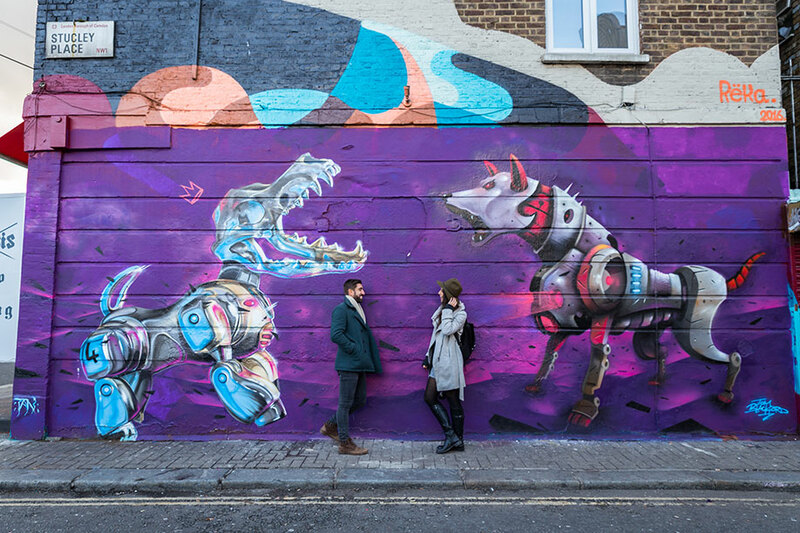 ), the bright colours of street art really liven up the city. One of my favourite parts of London is East London. This area has become a melting pot of creativity, and this is perfectly expressed by all the street art. 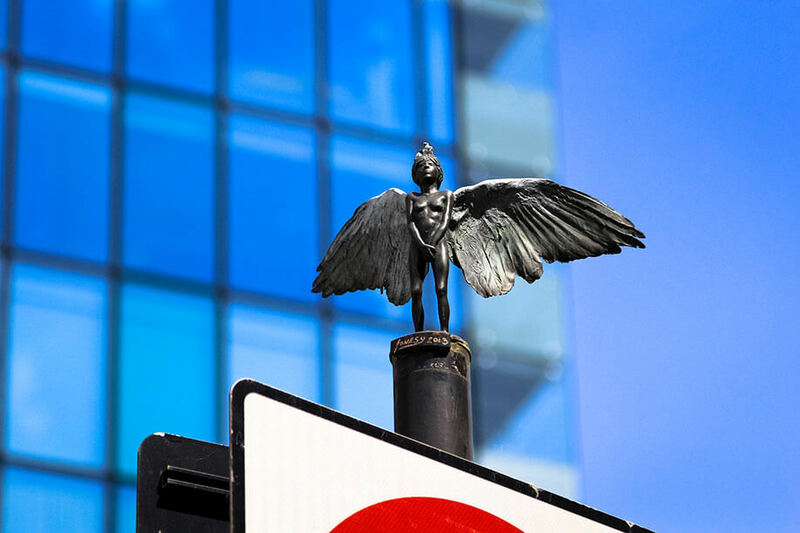 From huge murals taking up the side of a building to little statues on lamp posts, street art is everywhere in this part of London. Billboards display alternative messages, signs have been adapted, shop fronts become a blank canvas for ingenuity. 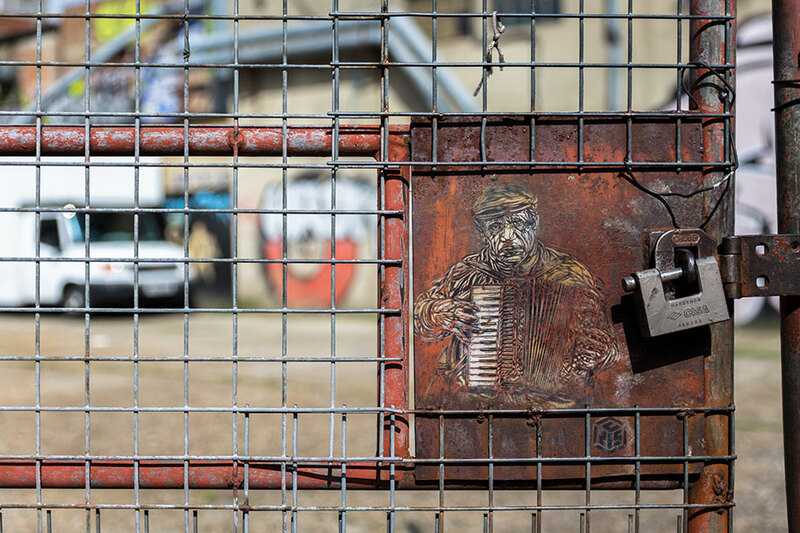 Street art is all around us and most of the time we don’t even realise it’s there. 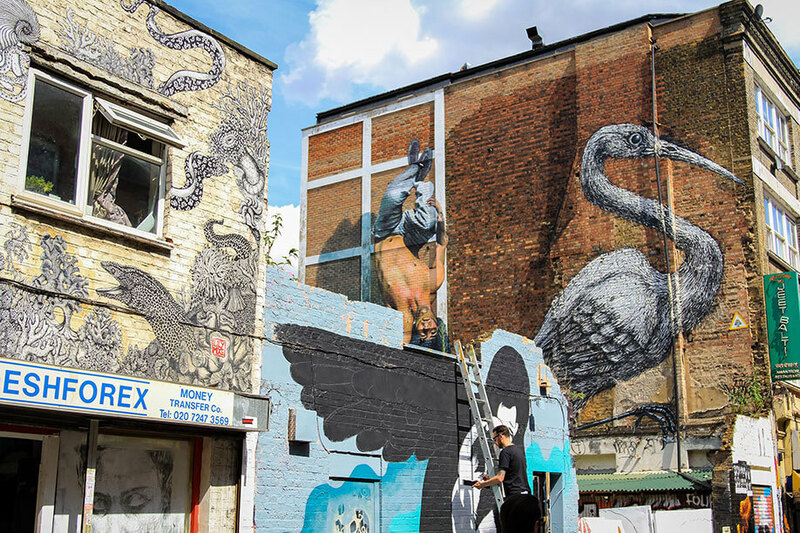 With world class artists like Banksy and King Robbo making their mark on the East London scene, the profile has been raised to the point where now every street artist (whether commissioned or not) wants to showcase their work here. And that’s the thing, people do forget this is a form of art. 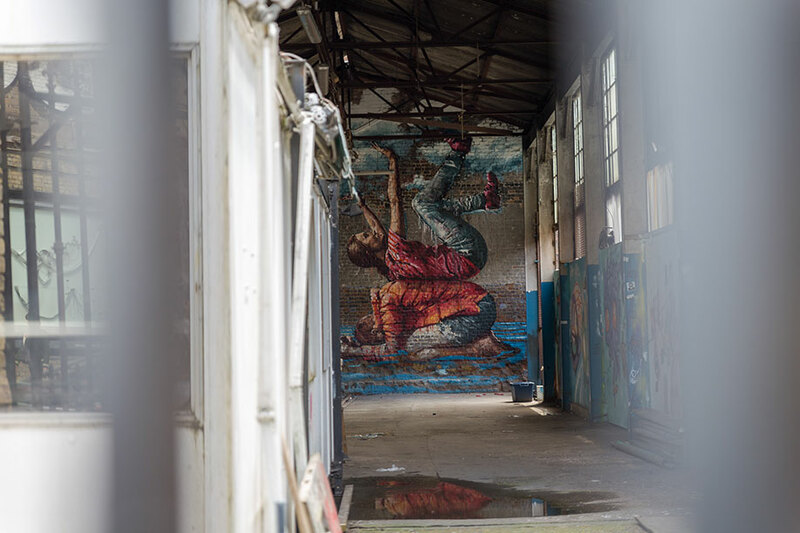 Long gone are the days where street art is an illegal act, teenagers searching for an outlet to express themselves. In today’s society, street artists are highly sought after to add a bit of colour and personality to a city, and it really works. 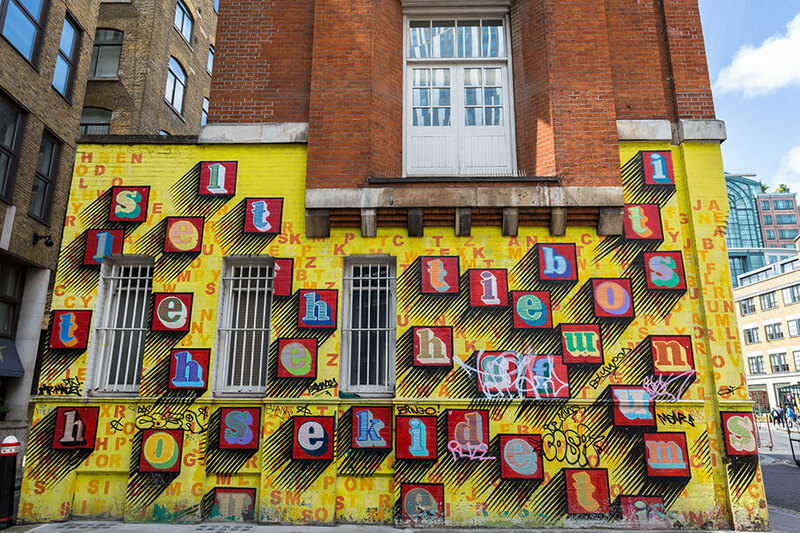 One of my favourite street artists is Ben Eine. A bit of a Dr Jekyll and Mr Hyde character (he was once an insurance broker by day, street artist by night), Eine is famous for huge block stencil murals. 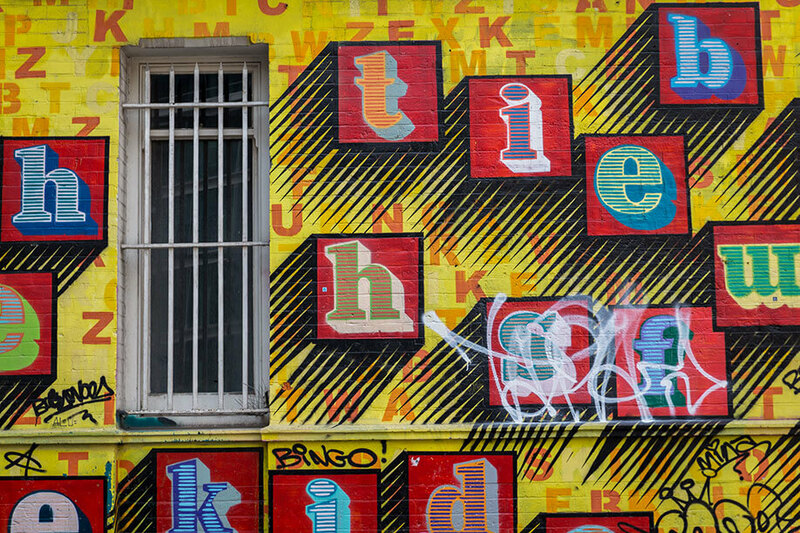 Eine’s street art is always very big and bold, and there’s always a hidden depth to his work. It’s hard to get the message in this photo but it says “sell the wife, sell the kids, it’s bonus time”, a nod to London’s ruthless banking industry in East London. Another artist I love is Amara Por Dios. 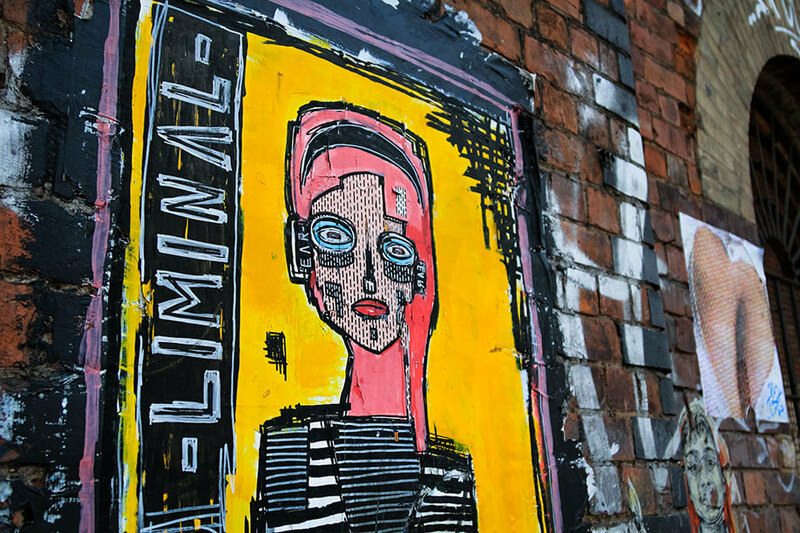 A Swede living in London, Por Dios is instantly recognisable with her vibrant colours, organic shapes and face – often of women – and she has a number of pieces over London as well as over the world. 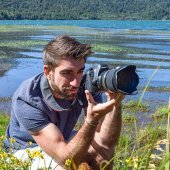 What I love about her work is the eyes – as photographers we’re taught to shoot a subject’s eyes, and there’s something about Por Dios’s work that really lends itself to this rule. 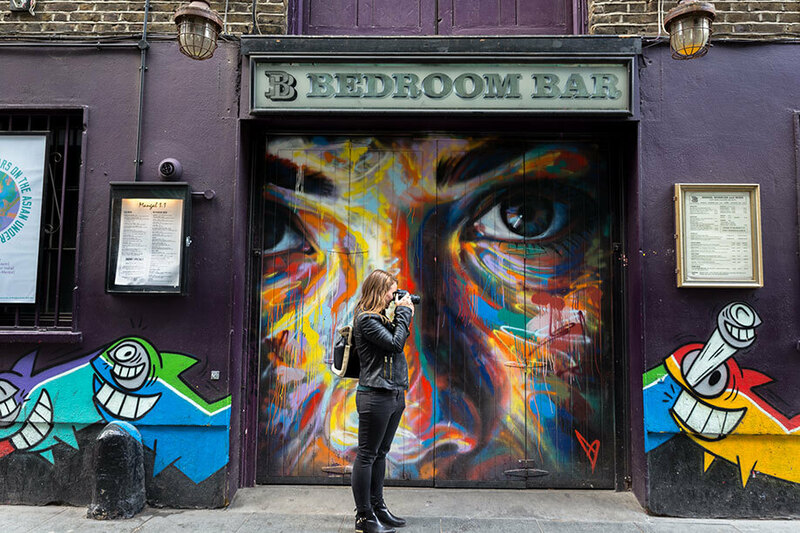 When it comes to photographing street art, I find it’s important to keep two things in mind – what you’re looking at and what you think you’re looking at. With most pieces there’s a back story or secret meaning you’ll probably never know about, but it’s important to think about these meanings and to try and express that in your photography. When I’m taking photos of street art, I usually like to use my wide-angle lens to get the whole picture in. Alternatively, I like to get up close and personal to take just a small section of the overall piece. I like to try and make the viewer think what the whole piece could be, as if they’re working out a jigsaw puzzle. When it comes to aperture, I usually shoot f/2.8-5.6. I really like having that textured background in my street art photos. As I’ve said, I don’t like revealing everything in a shot and I find a low aperture helps with that. Also, consider the scale of a piece. If it’s a mural taking up a whole building, use a person to represent the scale, really show the size of it. Adding a person introduces a human element too. Another amazing thing about photographing street art is each piece is so bright and vibrant, the colours really pop, so it doesn’t really matter if you’re shooting when it’s sunny or cloudy – with the bright colours you’ll still be able to capture an amazing image. One of the beautiful things about street art is the fact that it is everywhere, so it doesn’t take much to get your camera out to practise your street art photography. 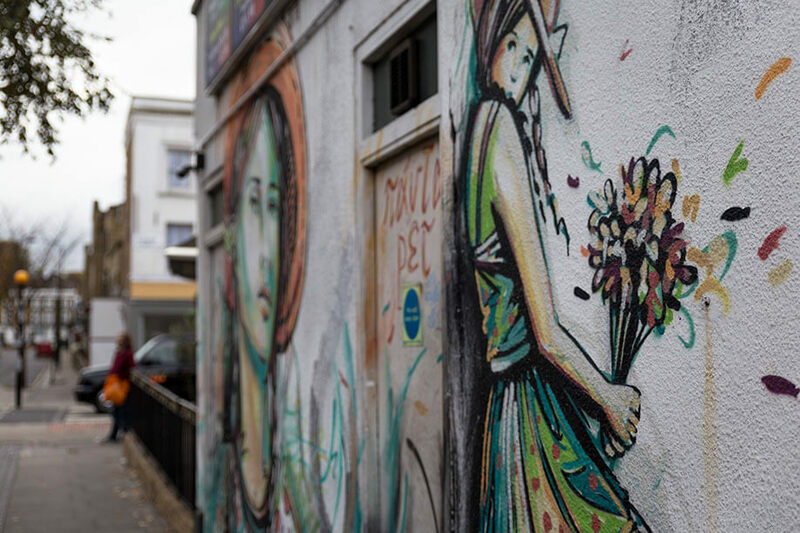 With so much stunning street art all around, your subject matter is literally just around the corner. And remember, taking photos of art can be an art within itself!